Selected pieces of the Architonic Prototype Collection are on display at Neumarkt 11. Among them is my armchair WOOD COUTURE. 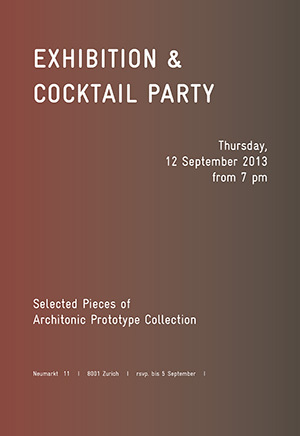 Join us for the cocktail on 12.09.13 or drop in till the 20.09.13.